A lot of people have heard of VPNs, or Virtual Private Networks, but not everyone knows exactly what they are or why they should be using one. VPNs not only increase your security, but are incredibly helpful as a cord cutter to. When you cut cable and are looking for streaming services for your favorite sports team or even specific Netflix content, you may find that location has a huge impact on both price and availability. Now imagine how much more difficult it gets if you move out of the country and want access to that team. A VPN allows you to “trick” the streaming service into thinking that you’re based in a different place, because as far as signal is concerned, you are. A Virtual Private Network, or VPN, is a group of computers that are networked together over a public network (the internet). What this means is that when using a VPN, you essentially connect to a computer in far away network and send all signals through it instead of directly from your personal computer. 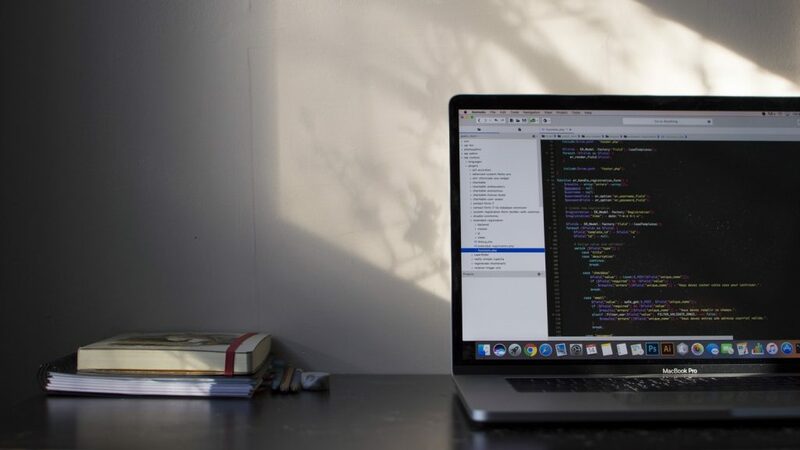 A lot of businesses will use VPNs to access data stored at a main location, or to allow workers at home to access important business files while on their home network. The main reason to use a VPN, regardless if you’re a cord cutter or not, is to secure your computer’s connection. A VPN connection guarantees that all of the information going to and from your computer is encrypted and is significantly harder for people to get access to. What are the best VPNs for cord cutters? As we noted above, everyone should be using a VPN if possible. Even if you don’t think you need one, protecting your data is important. If you don’t pay any bills online, use any site for eCommerce (including Amazon), do any online banking, or have any secure information anywhere online then you may be an exception to the rule. If you do any of these things, or fit any of the descriptions below, you should considering getting a VPN. If you find yourself working for your company or needing to access your school’s files while you’re not on their network, you may find yourself using a VPN. Typically, the people in this category use a VPN provided by their school or employer that is already set up to access the network. If not, then your company/school probably doesn’t have a data center and you don’t need to worry. Nowadays, a lot of people don’t even bother renting movies or going to see them in the theater. With absolute freedom of the internet also comes many dangers. Although not as popular as a few years ago, torrent sites are still a major traffic center for illegal content and are a great way to get a bit fat fine or law suite. If you’re a frequent downloader, you may already have gotten a warning or two from your Internet Service Provider for that season of Game of Thrones you downloaded. With a VPN, your location and IP address are encrypted and your downloads are no longer a beacon for companies to find and sue you. If you find yourself in other countries, or even across the United States, you may be frustrated when you miss the latest episode of your favorite show. If you wanted to watch the Olympics without cable, you may find yourself in a location that doesn’t have local NBC on Sling TV. VPNs allow you to change the location that services see your IP address as coming from. A lot of people complain that Netflix only displays certain content in one country and offers other content elsewhere. Using a VPN, you can access any version of Netflix that you want. Just because you use a VPN doesn’t mean that you’re overly paranoid and need to start putting duct tape over your web cam. However, when so much personal data is stored and passed through your network, it’s not unreasonable to be concerned. Open up your computer’s WiFi and see how many signals you can pick up. Odds are that all of those people (and more) can also see your network. While everyone’s neighbor obviously isn’t a terrorist level hacker, simple WiFi crackers and brute force hacking programs are easily downloadable on the internet. It only takes one overly curious or vengeful neighbor to cause irrecoverable damage that could be avoided by using a cheap VPN. If you like to take your laptop down to the local Starbucks and do some quick work, you’ve probably connected to their WiFi. If you find yourself connecting to the WiFi of hotels, airports, shopping centers, or convention centers you’re on an untrusted network. If you laughed at the mention of your neighbors hacking into your WiFi to cause chaos, it’s understandable. You might even bring your neighbors cookies once a week. Although neighbors are one thing, what about every single person in the coffee shop or airport? You might not think you have any overly sensitive information on your computer, but what if you recycle passwords occasionally? Someone who takes all of the stored passwords from your internet browser might only get your email password, but what if they use that email to then reset your bank password? You might not fit directly into any of the categories above, but chances are you fit into some part of them. There are plenty of other cases that also warrant a VPN (such a streaming on Twitch) and you should consider what you use the internet for before you completely dismiss them. With how simple and cheap using a VPN has become, it only makes sense to use one. There are a few main categories to consider when looking for a VPN. The major ones that we used to determine the top VPNs were exit location, connectivity protocols, data logging policies, device support, and price. A brief outline on what to look for in a VPN and how we made our list is below. For Cord Cutters, this is a major selling point for a VPN. If you’re trying to bypass a location blocked service like Netflix or MLB blackouts, the location that the signal exits from is your number one priority. You need to make sure the location based service thinks that you’re located somewhere else. For example, if you’re home address is in San Diego and you’re trying to gain access to a service that doesn’t stream in San Diego, it doesn’t do you much good if your VPN server is also in San Diego. Most VPNs by cord cutters are used when a person needs to get around their entire country’s restrictions, so before you buy, make sure that the VPN service offers servers in a different country. If you’re not too familiar with web security and start browsing for VPNs, all of the different types can get confusing really quickly. Although SSL is one of the most commonly used types, there are others like PPTP, L2TP, IPSec, and countless more. The minor differences in security type don’t matter to the average user, but if you’re a corporation, you are likely using IPSec or SSL. If you’re not familiar enough with VPNs to know or care about PPTP vulnerabilities or the like, the type of VPN you get won’t really matter. Just know that all the different types of VPNs provide a similar user experience and security and that you shouldn’t be overly concerned with which type it is. Although you’re on a VPN and your data is encrypted, it’s not completely encrypted. The data has to go from your IP to the data center where it will then be encrypted. That means you’re putting all of the security and privacy faith in your VPN service provider. If they choose to, they could log your data as it comes into the VPN. Be absolutely sure to read the logging policies of your VPN if security is a concern for you. If they do log your data, or even just your location, and the government requests it for any reason, chances are they’ll give it up. However, if the service doesn’t log any of your data then there’s nothing to give. Even if you’re not worried about the government asking for data, a VPN that logs data is just another potential information breach waiting to happen. 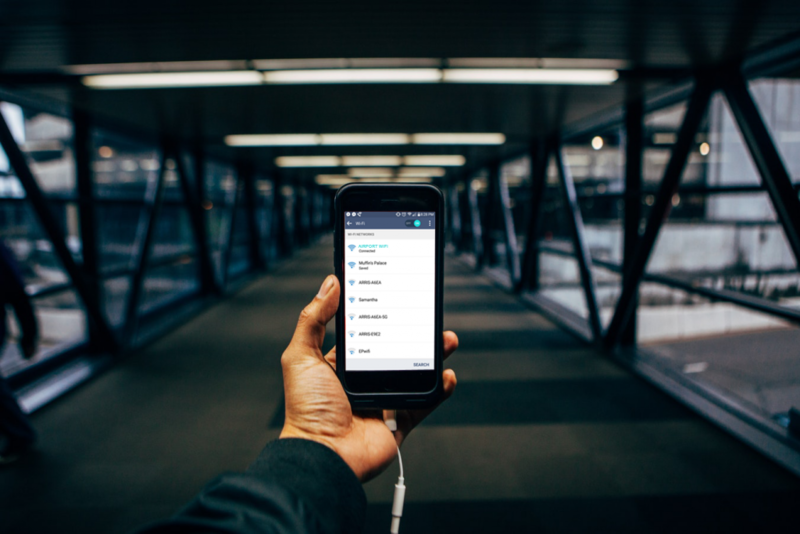 Some VPNs offer a mobile and desktop service included in one package, some charge for each separately, and others only have one option available. Regardless of how you end up paying for it, you shouldn’t have to jump through hoops to use a VPN on your computer and your mobile device. Charging for each service separately or charging for one bigger combined service doesn’t matter, but try and avoid the providers that only offer one or the other. Even if you save a few dollars, it’s not worth the headache of having two separate VPNs that have different policy agreements and separate access portals. Price is obviously a huge factor in which VPN service to get. While a quick Google search will yield hundreds of results for free VPN providers, there’s a good reason we don’t recommend them. If something is free, it typically means that you’re the product not the consumer. These free VPN providers are much more likely to log your data, especially when it comes to usage habits that they can use to target you with better ads. They typically have fewer exit location options and don’t have the same security infrastructure that the paid services offer. However, if you’re not using a VPN frequently and just want extra security in an airport every once in a while, a free VPN is better than nothing. There are plenty of great VPNs that don’t cost an arm and a leg and offer services that the free version can’t come close to matching. If you’ve been using a free VPN and are looking to make an upgrade, most actually offer free trials so you can see them for yourself. While they’re obviously more expensive than the free alternatives, trusting your security to a free service that survives off of ad revenue is a dangerous game. Now that you know what we look for in a VPN, let’s discuss some of the better services available. We know there are plenty of others that we’ve omitted from the article and we’d love to hear from you if you have experience with any of them. 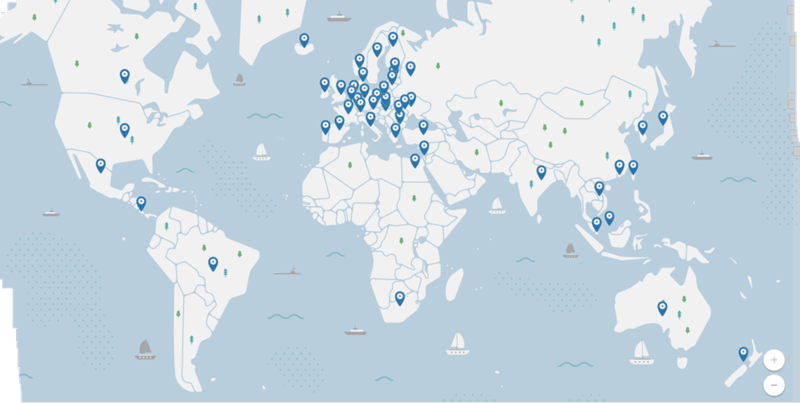 NordVPN has almost 1000 servers in 57 different countries. It only costs $69 a year (or $79 total for two years) and is a major name in the VPN business. It’s been particularly popular with Netflix subscribers, as it’s one of the few VPNs that still allows you to watch U.S. Netflix from anywhere in the world. Netflix has been in a constant fight with VPN users and has blocked a lot of them from bypassing it’s location dependency. Somehow, NordVPN has been able to get around it and offer U.S. Netflix on every one of their U.S. servers. Even Hulu works, but only for some of the servers. 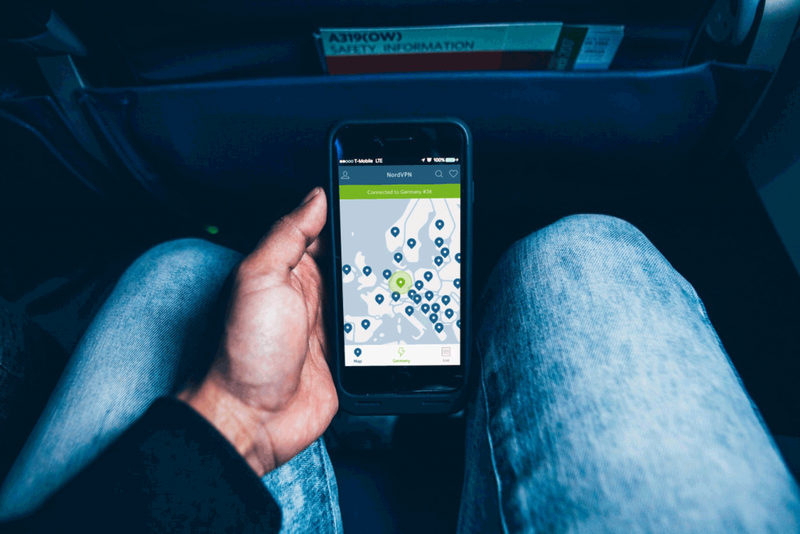 NordVPN is one of the most secure services we looked into and comes packed with useful security features. Some of these features include a kill switch, double VPN (more on this later), multiple proxy options, VPN into Tor, and DNS leak protection. We recommend using the OpenVPN protocol whenever available, but NordVPN offers some other protocol options to choose from. If you plan to use more than one device (the subscription allows a generous 6), you’ll have to choose different protocols for each one connecting to the same server. If you’d prefer to only use both OpenVPN protocols, you’ll have to split the devices among a few servers. Considering that 6 devices is a lot compared to what the competition offers, it’s a small price to pay. The double VPN feature is quite different and is a pretty cool, but unnecessary, offering. It allows you to send the signal from your through one VPN and then through another, re-encrypting it both times. Although cool, it’s not an overly practical feature. Unless you’re SUPER concerned about privacy, the double VPN feature is just going to slow your connection down a lot. If you’re specifically looking for a VPN with double VPN options, NordVPN is one of the few that offers it. NordVPN also offers a fantastic user interface. When you first log in, you’ll see a world map and a bunch of markers. Each of these markers represents a country that Nord has a server in. If you’re looking for a certain country to run your VPN from you can click the marker, or just hit the “Connection Wizard” button to let NordVPN connect you the closest server automatically. Another user experience benefit for the service is that there is a NordVPN Chome extension. You can download the extension to add it to Chrome, enter your login details, and click a single button to start browsing securely. If you’re familiar with corporate VPN services you may be used to opening an external app and having to put in both server and login information. 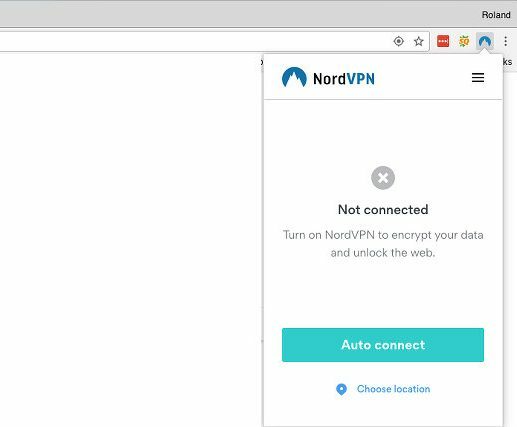 The NordVPN Chrome extension makes browsing securely much less of a chore. Panama has 100% uncensored internet and no government oversight. If you’re an advocate for complete and utter privacy, the fact that NordVPN is a Panema based company that is so strongly committed to zero-logging makes it one of the absolute best VPNs for privacy. Overall, NordVPN is a great service that boasts a fantastic interface and add-ons. It’s one of the most feature rich VPNs, allows six simultaneous connections, and has servers in over 58 different countries. It feels so strongly about its service that it offers a 3 day trial and a 30 day money back guarantee because it knows that very few VPN services can compete. Let’s not forget the fact that NordVPN’s Smart DNS service works with U.S. Netflix. That alone is a solid reason to subscribe for a lot of people! Avast Software has been a huge name in digital security since 1988. You might even have their antivirus software on your computer already. If you do, the Avast SecureLine VPN integrates quite nicely with their other software making it easier to set up than it already it is. One thing to note is that SecureLine is quite expensive compared to some other options. We almost excluded it from the list due its pricing structure, but decided that its simplicity and integration to an existing and popular antivirus software helped to earn it a spot. If you’re looking for a VPN for multiple devices, Avast SecureLine’s price becomes a lot more competitive. Before you buy a license, be sure to make use of Avast’s free trial. You can use the service for a full seven days without any limit on your data usage. After the trial is over is when things start to get a little bit confusing. A single PC license is $59.99 for a year. To add an additional 2 computers to your license it’s only an extra $10 a month. For five computers on a single license, the total yearly cost is $79.99 and for 10 computers it’s $99.99. Occasionally these prices get reduced for sales (half off with a Window’s license) and multiple-year offers that are worth taking advantage of. As you can see, the price becomes a lot more reasonable if you’re looking for a VPN solution for multiple computers. $69.99 a year for 3 total computers brings the price down to $1.95 a month per computer; a lot more affordable than its single computer price of $5 a month. NordVPN cost $69 a year, but allows 6 devices to be used on that license. Once you choose a PC package (or Mac package) you have the option to add-on some other services for a discount. As of last year, Avast has started to offer an “all-inclusive package” that provides a VPN service for 5 total devices regardless if they are phones or computers. This package costs $79.99 and is the best choice if you’re looking to secure your mobile device as well as your desktop/laptop. In terms of servers, if we compare Avast SecureLine’s to NordVPN’s, it’s a little disappointing. Although it has a lot of server locations across 21 countries, it’s still far fewer than some of its competitors. For most users, Avast’s locations are perfectly acceptable, but for power users who need more (or specific) locations, you might want to pass on SecureLine. Avast SecureLine’s simplicity is one of its saving graces. It only takes a few minutes to set up on a desktop and only about a minute on a mobile device. Once you install it and take the few minutes to get it going, you’ll likely forget you’re even using it. Choosing and connecting to a server is as simple as clicking a button and their connection wizard makes it even easier. The connection window is literally a single drop down and the connection button, so it’s pretty hard to get lost in the service. It’s intuitive and easy to understand, making it a great choice for a starter VPN (doubly so with access to a free trial). 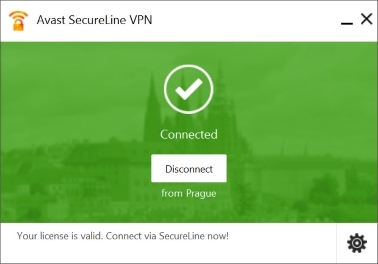 Overall, if you’re looking for an incredibly simple VPN that isn’t bogged down by additional bells and whistles targeted at techies, Avast SecureLine is a fantastic option. We recommend SecureLine only if you’re considering a VPN for multiple devices, as it is rather expensive for only one. Even if you’re not sure about it and think you’d be better off with something else, we’d recommend experiencing the service for yourself with their trial. It’ll help you get an idea of what to compare future VPNs to, and you might actually end up liking it! 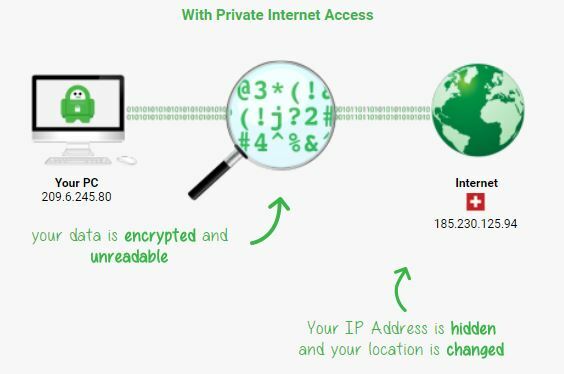 Private Internet Access (PIA) is one of the most popular VPN services and for good reason. It’s built its reputation by consistently providing a reliable and secure VPN for a low price. It’s also hard to compete with PIA’s quantity of servers, although they aren’t in as many countries as some of the competitors. Private Internet Access is a security driven company that has an amazing web presence (their blog is a gold mine), offers quality software across multiple platforms, and is incredibly inexpensive for such a customizable encryption service. Let’s start with one of the biggest draws to Private Internet Access; the cost. At only $39.95 a year, PIA is one of the cheaper VPNs you can get without taking a major hit in both performance and security. The $39.95 a year not only covers one device, but five. If you run all five devices on your account it makes the service cost only $0.67 a month per device. The low cost makes it a great option for a family or a small business that is interested in protecting their data. Recently, PIA has introduced an even cheaper pricing option to reward long-term users. If you pay for two years of the service you can get it for $69.95. 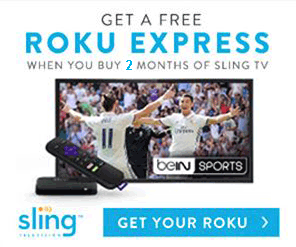 This deal further reduces the already cheap service to only $2.91 a month. Paying for Private Internet Access is also a unique experience. In addition to credit cards, PayPal, cryptocurrencies, and other typical forms of payment, they accept hundreds of different gift cards that you can use to buy the product. You can now scour your drawers and wallets for mostly used Starbucks or Best Buy gift cards and turn them into high level security for your computer and devices. You also only need to provide an email address with your payment, so your account’s anonymity is only hinged on your payment method. If you purchase a gift card with cash and use an email without any identifying characteristics, your account will be about as anonymous as you could get. As an example of how security driven PIA is, we can look at a recent real world example. In the past year, Russia has made some major changes to their data privacy laws. Private Internet Access didn’t feel that the changes would allow it to stay true to its stance on security and data logging and decided to remove all of their servers from Russia. Although this demonstrates the company’s resolve to protect user data, it might not actually be true. Because the company is based in the United States (Indiana to be specific), it could, in theory, be issued a court order forcing it to retain user data AND be forced to keep it a secret from subscribers. If a warrant was issued, they could be logging data as we speak. Since their logging policy is a zero-logs-policy it’s incredibly unlikely, but the possibility it still there as it is with any US-based web security business. We briefly mentioned Private Internet Access’s blog and want to touch on it and their website in general. 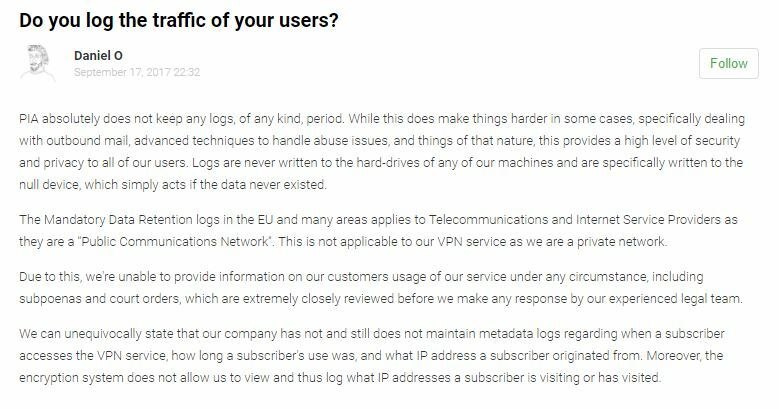 As you can see from the logging policy above, their site is full of answers to important questions you should be asking as a VPN user. It also contains detailed instructions (including videos) for how to improve your VPN experience and add additional layers of encryption. Although we’d recommend using OpenVPN due to its security, you can also use some of the legacy services like PPTP and IPSec. The website doesn’t try to hide anything and is actually quite a relief after browsing through other VPN provider sites. For as good as the navigation, layout, and transparency of their site is, it doesn’t hold a candle to the quality of their blog. The blog is one of the best sources of VPN information and general privacy news on the internet. If you’re curious about the political landscape surrounding VPNs, new encryption types, data breaches, or anything else cyber security related, we can’t recommend the PIA blog enough. The software itself is as simple or as complex as you’d like it to be. 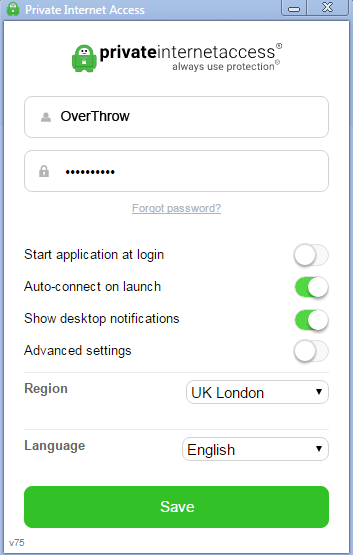 Using the auto-connect button, you can use your computer through the Private Internet Access VPN without even noticing. For more advanced users you get access to the “advanced settings” that let you choose your encryption settings. This includes port forwarding, a kill switch, and even a built in ad blocker. Although it won’t do anything significantly better than a typical browser ad blocker, not having to download and enable one on every device is a nice plus. One feature that the advanced settings is missing that seems like an over site is an auto-updater. Since the software won’t update itself, you’ll have to be sure to check the website from time to time for upgrades. But that shouldn’t be a problem if you become a frequenter of their blog! An important cord cutters note: PIA does NOT unblock U.S. Netflix!